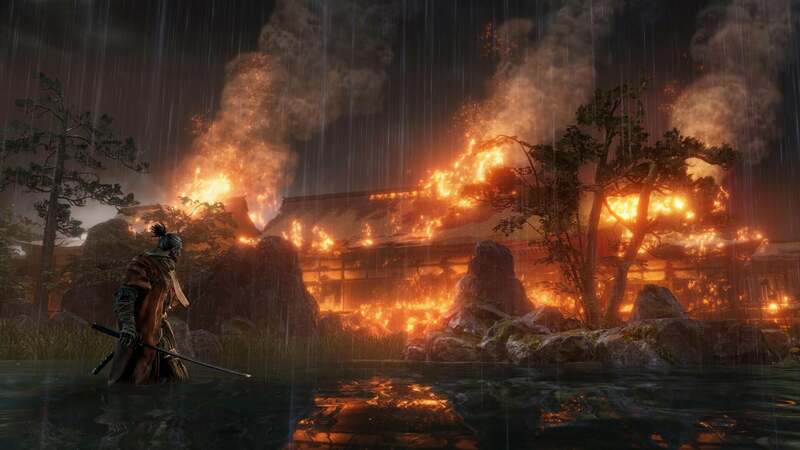 A week ago, Mark asked me whether I’d be able to play and complete Sekiro: Shadows Die Twice. I gave him an emphatic yes. I’m not the best action game player by any stretch of the imagination, but I’ve got a few accomplishments under my belt that I’m proud of and that gives me confidence. I beat most of the bosses in Dark Souls on my first attempt in my first playthrough. I get S ranks in Bayonetta and Devil May Cry pretty frequently. I’ve played quite a lot of Ninja Gaiden at Master Ninja difficulty. I don’t say that to impress you — I say it only to make sure you fully understand what I am about to tell you: I firmly believe Sekiro is the hardest game I’ve ever played. 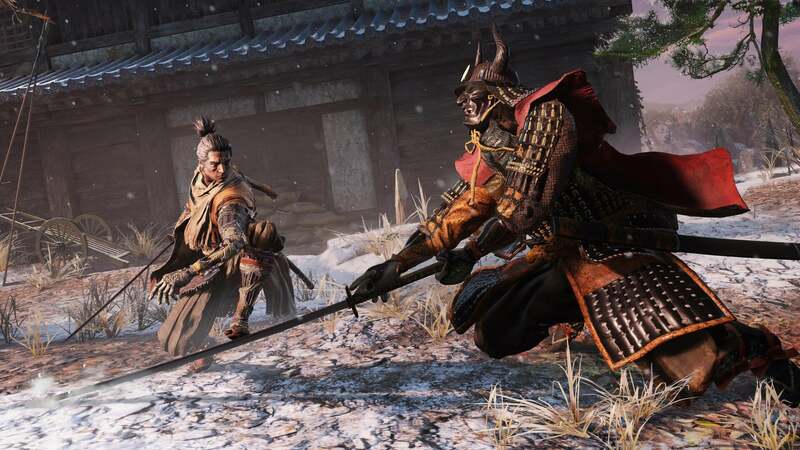 That Sekiro is tough shouldn’t come as a surprise. This is a game from the developers that brought difficulty gameplay into the limelight with Dark Souls and while pre-release materials would have you believe Sekiro was somehow not a soulslike, it absolutely is in some very important ways. It’s a game that was designed from the ground up to be hard in literally every aspect. Despite a more traditional tutorial section for once, even the basic game structure obscures how some mechanics work and how you’re meant to progress. To some, this leads to a sense of exploration and I wouldn’t fault the developers for pursuing that game design philosophy they’ve worked to master since they started working on Demon Souls. 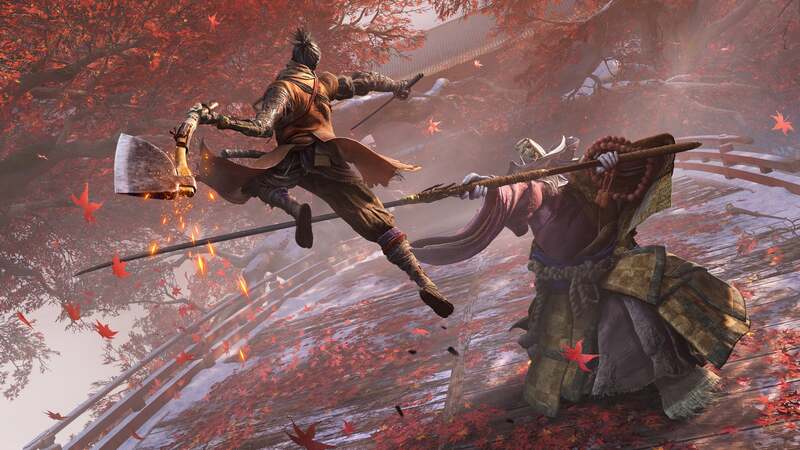 In fact, I’d say they executed it masterfully — I didn’t always know where to go while playing Sekiro, but I always knew that somewhere along the line there was a clue to point me in the right direction. FromSoftware did a great job with that, but let’s be clear: it does make the game much harder before you ever encounter an enemy. Everything you do in Sekiro is earned. Nothing at all is given and that gives the game an underlying band of tension that never leaves. As for the gameplay itself? Well, you know where I’m going with this. Let me tell you about my experience last night. I spent thirty minutes fighting a flaming bull mini-boss who seemed impossible until I learned how to force him into a predictable attack and then learned how to deflect that same attack. Finally, I defeated him and approached the next area, ready for a break and the more relaxed gameplay of sneaking around and backstabbing foes. I saved my game and proceeded up the steps only to meet another mini-boss. He was a samurai with a long sword and he was surrounded by minions with rifles. I died. And so I approached again and died again, eventually learning that I needed to take the rifle minions out, then leave the battle so that I could approach the mini-boss for a backstab to start off the fight. Finally, I got to work on learning how to beat the mini-boss. He was lightning fast and gave very few openings for attack, which I found to be very difficult to handle. Each time I died, I had to clear out the enemies again, lure the boss to a location I could reach him for the backstab, and then try again. This takes a while and after an hour of fighting, it was clear I would eventually overcome him but I just had to take a break. It was too much. I also realized I would probably never beat the game. That was a sad realization. If you haven’t played it, let me describe exactly how Sekiro’s gameplay works. It’s an action game in the same genre as Bayonetta, Devil May Cry, or Ninja Gaiden, but it’s much simpler. There are no combos to learn nor flashy maneuvers to perform. It’s much more akin to Dark Souls where defense was king, only here you won’t be dodging or blocking much of anything. Instead, you’ll need to learn to deflect or you will die. This requires pressing the right button at exactly the moment an attack is about to land. If you miss, you probably just lost half your life. As you’d expect, enemy attacks are well-choreographed and an expert player will learn all of these attacks and deflect at just the perfect time. When it works, it feels amazing and it’s visually pretty awesome to deflect an entire combo and then finish the enemy with a single attack. But if you’re not good enough, you’re going to die an awful lot. I wasn’t good enough. I am not good enough. Sekiro requires a combination of perception, quick reflexes, desire and determination that I worry I've lost. It’s not enough to know your enemy. It’s not enough to be quick. It’s not enough to want to win. I think I just might have adequate amounts of all three of those, though even that might be charitable. Regardless, they're not enough. Sekiro requires you be willing to sit down, take your time and find a way to prosper under a literally merciless gameplay regime. You must get back up every time you die and try again, and again, and again against a system harder than any I've ever encountered, and I'd be curious to hear if anyone has other candidates if this isn't the hardest game ever for them. Sekiro wasn’t made for me. But for those it was made for, that’s a different story. The polar emotions of devastating defeat and ecstatic victory will bring elation to some that no other game can offer. So don’t be afraid — as much as I wanted to defeat Sekiro’s enemies, I learned I couldn't. Sekiro will beat you to the ground, but some of you will possess the ability to persevere better than I did. For you, I have no doubt Sekiro is a masterpiece.